Having been raised on Kentucky Lake I can’t imagine life anywhere else. I don’t take for granted how fortunate I am. 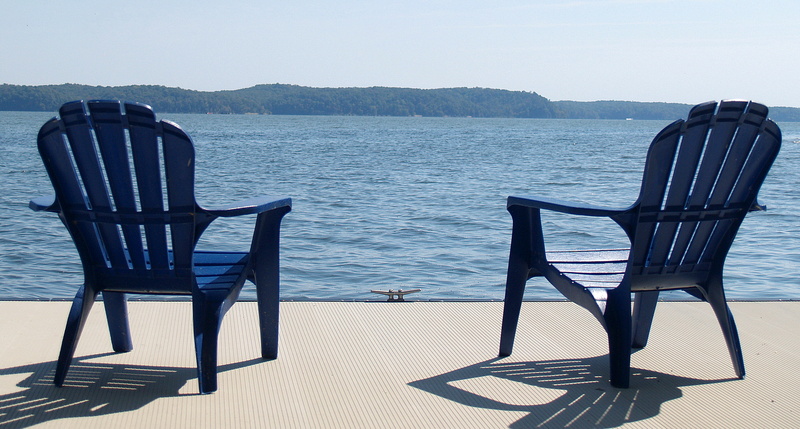 Since greeting our first guests in 2007, sharing all the lake offers with others is extremely rewarding for us. Hearing from first time visitors that Kentucky Lake is so much more than they imagined it would be makes having developed our properties all worth while. After completing several projects, both commercial and residential, my life-long interest in architecture is combined with that of assuring a great experience to all our guests. From the ground up there’s an emphasis that comes naturally on making sure our accommodations be of a quality not found in rental homes in the area, and that the features compliment this exceptional property and location. Whether it’s a unique attribute incorporated in the structural design or a special element that creates an unexpected convenience, making it unforgettable is the priority. With my wife Pam having had a 20 year career in the luxury hotel & resort industry she lends a professional touch. As a Director for North America & Europe she lead a talented team overseeing Sales, Marketing and PR for many of the finest accommodations in the world. Her knowledge is on a global scale from a wide array of 5-star themes. She visited renowned properties and met with clients on frequent around the world trips working in the U.S., Canada, the Caribbean & Bahamas, Mexico, and numerous countries in Europe, the U.K., Asia, South East Asia, Australia, French Polynesia, and South America. She ensures a consistent commitment to the principles that keep our customers returning. Pam approaches each guest’s visit with the dedication she did as she helped cultivate standards that would exceed the expectations of dignitaries and celebrities alike.